I wrote this piece to read at Stories at the Storey. The piece loosely interprets the theme "food" and explores my relationship with the acquiring,- if not the eating- of food. This is a reading of a creative nonfiction personal essay I wrote for Stories at the Storey. The piece loosely interprets the theme "light". I read the piece there and recorded it as part of 31 Days of Prose. This is the second half of the recorded reading of my short story, The Quickest Way to Success. This is part one of a two-part short story published in Florida State's Slices years ago. I'm reading it here as part of 31 Days of Prose because it seems I needed to get writing about a writer out of my system. I wrote this piece in response to the theme of joy for Stories at the Storey true story open mic night. In this creative nonfiction personal essay I explore home, my future, and possibilities. I wrote this creative nonfiction personal essay for Stories at the Storey and recorded my reading it for 31 Days of Prose. A super-short creative nonfiction personal essay about why I don't send Christmas Cards. This is a personal essay loosely interpreting the theme "endings". Written for Stories at the Storey, recorded for 31 Days of Prose. In this creative nonfiction personal essay I explore loss and death. I wrote this piece a few years ago and recorded it today. It's from my virtual attic. Back to prose! This is a piece about the power of medicine. I could have called it The Placebo but it's more about time, perception, maturity, and hindsight. I wrote this brief poem after the death of a friend. Interrupting 31 Days of Prose with a few days of poetry. Words Lie is a short poem I wrote years ago and kept in my virtual-writing attic. I don't write a lot of poetry. This is the final section of Each of Us Drowning at Sea. Thanks for listening. This is part one of a four-part short story. This fictional story, Each of Us Drowning at Sea, explores the loss of a child, mourning, family, and identity. The story was short listed in the University of Sunderland in association with Waterstones' Sun Story Awards in 2018 and printed in a limited-edition anthology by Bandit Fiction. In this personal essay I'm exploring the idea of a fairytale ending. If it's my story, I get to define what happily ever after means, right? This essay loosely interprets the theme "school memories." I wrote the piece to read at Stories at the Storey and recorded it here for 31 Days of Prose. In the piece I reflect on memories which are at best fleeting. In this recorded essay I explore my relationship with motherhood as my children grow older. I wrote this piece for Stories at the Storey's theme empty nest. In this essay I explore getting from one point to the other. I wrote this essay for Stories at the Storey true story open mic night for the theme journey and recorded it for 31 Days of Prose. In this recorded reading of a personal essay, I explore my perpetual search for home. This piece is a letter written to future me. It's a letter I hope, if I were to open it years later, would make me smile, reflect, remember, and act. This is a personal essay about endings and celebrating life. In this piece I explore the legacy I hope to leave for my children and one or two things I would rather not happen at my funeral. Day three of my 31 Days of Prose, in The Things They Say I answer the question "Why Lancaster?" and explore my own search for home. Summer is in full swing. People are creating memories faster than you can say "cheese". What better way to preserve them than with a true story? No matter how many pictures we take, how many tweets we post, or how many videos we film, memories, events, and people, just like old photos, can be lost, forgotten, or misplaced. It’s true, a picture speaks a thousand words, but nothing captures the depth and detail of a moment/memory like a story. If you’re writing a personal essay and need help getting it into shape, join us for summer of prose, an online summer writing camp. Price: £150. Payable upfront or £25 a week payable each Sunday. What is it? An online creative writing course aimed to help you develop a personal essay to submit to publications, perform, and/or inform a larger collection. The course includes weekly writing prompts, tailored weekly writing exercises and readings, and weekly feedback to help develop your personal essay (up to 3,500 words) for your target audience. Each Sunday, you will receive a writing prompt and reading list tailored to your writing goals, development, and the piece you submitted on registration. You will also be encouraged to submit writing weekly and will receive constructive feedback via email. Yvonne is an American writer living in Lancaster, UK. A writer of fiction and Creative Nonfiction, her writing has been published in riverSedge, Assisi, Not Somewhere Else But Here: A Contemporary Anthology of Women and Place, Welter, Slices, and The Chesapeake Reader Literary Journal. 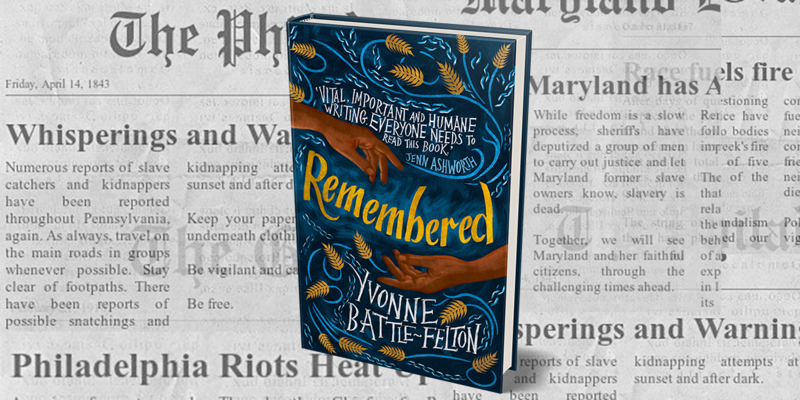 Winner of a Northern Writers Award in fiction (2017), her first novel, Remembered (forthcoming 2019), is the story of an emancipated slave haunted by both the past and the present as she struggles to lead her dying son home. Yvonne’s practice-based research explores silence, legacies of slavery, motherhood, and community. Her novel will be published by Dialogue Books of Little, Brown Group (Hachette). Yvonne was shortlisted for the Words and Women Competition (2017) and commended for children’s writing in the Faber Andlyn BAME (FAB) Prize (2017). 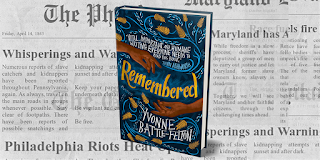 Yvonne is represented by the Elise Dillsworth agency and holds an MA in Writing (Dual Concentration fiction and nonfiction) from Johns Hopkins University and a Creative Writing PhD from Lancaster University. She is an Associate Lecturer at Lancaster University and a Lecturer at University of Cumbria. Yvonne is a creative producer, writer, and is co-founder and co-Director of North West Literary Arts CIC. Yvonne is co-creator of the North West Literary Salon, a monthly literary event featuring local writers, musicians and food; Stories at the Storey, a monthly true-story open mic night providing a platform for new writing and creative nonfiction since 2014, and Off the Page, interdisciplinary creative writing workshops as well as founder of The Writing Life radio show. The organization aims to increase diversity in publishing and to build community one story at a time. **In-character reading: recording of actors reading the work in character. Ready to get started? Classes are ongoing. You can start any week. Email Yvonne at northwestliteraryarts@gmail.com for more information or to get started on our writing journey. In this month's newsletter we share our experiences putting on a funding event and hosting our first event in London. We learned a lot. The newsletter offers some highlights and invites readers to share their insights on organizing events. We also included an invitation to join our new Facebook Group, Create. Create is a space for networking, sharing information and resources, and supporting other creatives. We also reveal this month's theme for Stories at the Storey. As always, if you'd like to get involved, get in touch. In this month’s newsletter, we’re talking about last month’s Stories at the Storey, upcoming events (you’re all invited), and breaking through writers’ block. Want to read this month's newsletter? May's newsletter is available to read on our Patreon site and on our Onliterary website.